The Cancer Survivorship Symposium: Advancing Care and Research will be held February 16 and 17 in Orlando, FL. This multidisciplinary meeting brings together a wide range of oncology professionals to learn about the best ways to meet the needs of cancer survivors. This innovative approach to education and patient care is supported by a collaboration between the American Academy of Family Physicians, the American College of Physicians, and the American Society of Clinical Oncology. You can learn more about research from this symposium by following the #SurvOnc18 hashtag on Twitter. A new study indicates that physical therapy can help women receiving a lymph node dissection for breast cancer regain full use of their affected arm more rapidly than current standard follow-up care. Many women who are treated for breast cancer receive a lymph node dissection, which is a surgery to remove lymphatic tissue between the breast and underarm. When lymph nodes are removed or damaged, fluid can build up in tissues and cause swelling, called lymphedema, which can make it difficult to move the arm. Loss of range of motion can occur soon after surgery, is disabling, and may last for many months or longer. This study followed 568 women who had had a lymph node dissection and were at risk for lymphedema. They were randomly assigned to 1 of 2 groups. Both groups received standard written educational materials about signs and symptoms of lymphedema and strategies to reduce risk. In addition, one of the groups received an exercise session with a physical therapist to learn how to do arm stretching and breathing exercises. The women received surveys to fill out before their surgery, after surgery, at 1 year after their surgery, and at 18 months after their surgery to assess their arm range of motion from very little to full range. At 1 year after surgery, more women in the exercise group had full range of arm motion (91% left arm, 90% right arm) than in the education-only group (84% left arm, 83% right arm). At 18 months after surgery, 93% of women in both groups reported having regained full range of motion in both arms. Further analysis looked at how much the range of motion improved in the affected arm where the surgery was performed. At 1 year after surgery, there was a 32% improvement in range of motion in the exercise group, compared to a 6% improvement in the education-only group. At 18 months after surgery, there was a 37% improvement in the exercise group, compared to a 13% improvement in the education-only group. What does this mean? Education helps women regain range of motion in their arms after dissection surgery, but guided exercise training in addition to that education helps women recover faster. Because lymphedema and limited range of motion can seriously affect a woman’s quality of life, the sooner that the conditions go away, the better. People with breast cancer or colon cancer are often given chemotherapy after surgery, called adjuvant chemotherapy, to lessen the chances of the cancer coming back. A new follow-up study to a Dutch clinical trial called PACT explored whether exercise during adjuvant chemotherapy helped people be more physically active in the long term. After surgery, patients in the original clinical trial were randomly assigned to 1 of 2 groups while receiving chemotherapy: participating in an 18-week exercise program or receiving the normal standard of care. The exercise program involved 60 minutes of combined aerobic and strength training 2 days a week, guided by a physical therapist, plus 30 minutes of physical activity at home 3 days a week. The exercise program included elements aimed at increasing the patients’ confidence to be physically active during and after the program. After 4 years, 128 study participants were surveyed (110 with breast cancer and 18 with colon cancer). Of those, 70 had been in the exercise program and 58 had received usual care. In this follow-up study’s findings, those who were in the exercise program reported getting an average of 90 minutes per day of moderate-to-vigorous physical activity, such as cycling or jogging. Those who hadn’t been in the exercise program reported getting about 70 minutes of moderate-to-vigorous physical activity per day. This was a Dutch study, so these levels of physical activity also include walking and commuting by bicycle, which are common activities in Dutch culture. What does this mean? In the past, patients were often advised to reduce physical activity during chemotherapy. However, this study adds to a large and growing amount of evidence that exercise is both safe and beneficial to survivors’ health and well-being. This is the first study to show exercising during adjuvant treatment leads to higher physical activity rates in the long term. Findings from a new study suggests that using a web-based, interactive tool can help motivate childhood cancer survivors to stay physically active. The study involved 97 survivors, ranging in age from 11 to 15 years, who were no longer receiving cancer treatment and were not physically active. The survivors were randomly assigned to either a web-based physical activity intervention or to a control group. Both groups received a handout with information about the importance of physical activity and examples of activities, along with a wearable activity monitor. The intervention group were given access to an interactive, age-appropriate website. At least once a week, those participants would connect their monitor to a computer and log their activity through the website. If they achieved certain activity goals, they received rewards, such as T-shirts and gift cards. At the start and at the end of the study, in-person medical assessments were done for all participants for their strength, flexibility, endurance, attention, and memory, as well as their health-related quality of life. A total of 78 participants (53 in the intervention group and 25 in the control group) completed the 24-week study. In the results, the weekly difference of moderate-to-vigorous physical activity between the 2 groups was 29 minutes, with the intervention group increasing exercise an average of nearly 5 minutes a week and the control group decreasing exercise by an average of more than 24 minutes. In addition, researchers also saw improvements in the intervention group for hand grip strength, number of push-ups and sit-ups completed, verbal fluency, and health-related quality of life, but no changes in any of those measures were seen in the control group. What does this mean? Survivors in this age group face a variety of possible long-term effects of treatment. Exercise has been proven to have a wide range of benefits, including improving heart health, reducing fatigue, and helping control weight. This study indicates that reward-based online tools may be an effective way to motivate them to keep up their physical activity rates. A new study of adolescent and young adult (AYA) cancer survivors showed that many don’t receive follow-up care after treatment ends, even though it is important for long-term health. In particular, survivors in this age group are at higher risk for a range of late effects, including heart problems, infertility, and secondary cancers. In this study, the researchers examined the tumor registry at the Roswell Park Comprehensive Cancer Center to study anonymous data about patients diagnosed with cancer at the center. They chose to examine data from AYAs with the 5 most common types of cancer for this age group: leukemia/lymphoma, melanoma, germ cell tumors, thyroid cancer, and breast cancer. Then, they further divided the data into 2 groups by their date of diagnosis: 783 people diagnosed between 2005 and 2009 and 852 people diagnosed between 2010 and 2014. 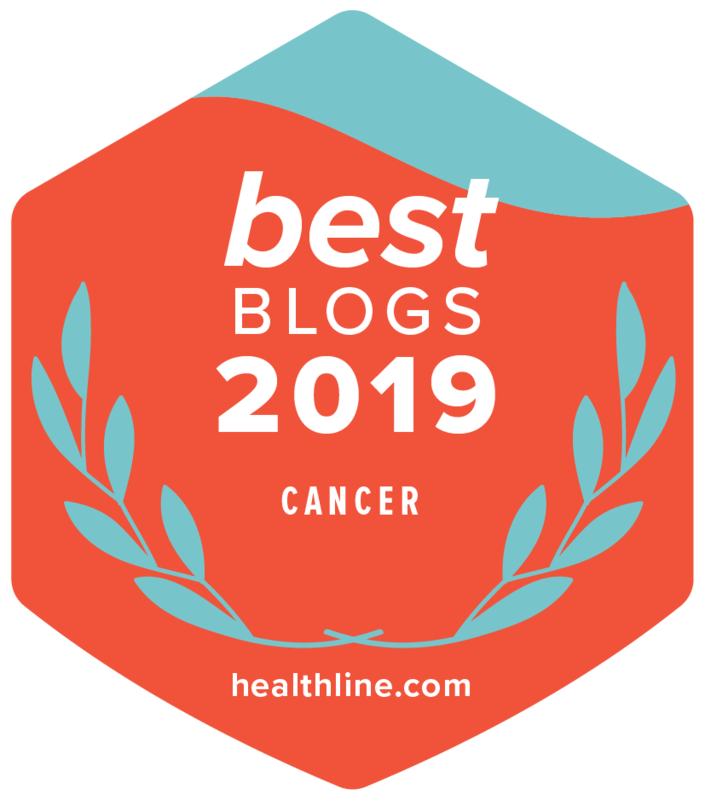 The analysis of the data showed that the most important element in whether an AYA survivor received follow-up care was the time since the person’s last cancer treatment. In the group diagnosed between 2005 and 2009, 48% had not had a follow-up visit in 2016. In the group diagnosed between 2010 and 2014, 33% had not had a follow-up visit in 2016. Further analysis showed that whether a person had health insurance was not a deciding factor. In the 2010-to-2014 group, more people without health insurance skipped a follow-up visit than those with health insurance (39% vs. 33%), but this was not statistically significant. What does this mean? Regular follow-up care can help AYA survivors manage late effects of treatment that may affect the length and quality of their lives. This study suggests that the oncology community is doing a better job of getting more AYAs into follow-up care after treatment ends, but more work is still needed. Cancer treatment is now known to often cause sexual problems, and professional guidelines recommend therapeutic aids to help improve survivors’ sexual health. However, a new study of 25 major cancer centers discovered 87% of the centers had nothing on-site to help men and 72% had nothing to help women. In this study, researchers called 25 National Cancer Institute-designated cancer centers to see if they had sexual aids available in on-site specialty stores that sell other cancer-treatment products, such as wigs and prosthetics. A researcher called each center by phone and asked the store staff if sexual aids for men were sold. Then, another call was made to ask about sexual aids for women. If the center did not have sexual aids, the researchers called back later to find out if the center staff could recommend how a cancer survivor could obtain sexual aids. Of the 25 centers that were called, 23 responded to the question about sexual aids for men and 22 responded about aids for women. However, as outlined above, the majority of centers did not have sexual aids available for men or women. If no sexual aids were available, the center’s staff recommendations were to search the internet or visit a local pharmacy. If aids were available, the most common ones were vacuum penile pump devices for men and lubricants and vaginal dilators for women. Just 1 cancer center had sexual aids available for both men and women. What does this mean? The absence of sexual aids at cancer centers is a sign that more work needs to be done to directly address sexual problems in cancer survivors. Having sexual aids available on site lets patients know that treating sexual problems is important and increases patient access to help. It also means that patients can ask the health care team how to properly use sexual aids. Sexual problems due to cancer treatment affect between 50% and 90% of adult survivors, depending on treatment. However, many people find these problems distressing or embarrassing to discuss. Efforts to provide easy access to these types of aids could help support survivors with sexual problems.